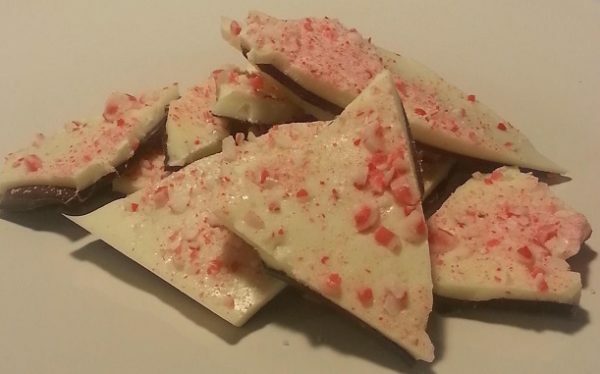 Our Peppermint Bark is a layering of our delicious dark and white chocolates then topped with bits of peppermint candy. Each batch is made to order, ensuring the freshest quality. Each pound of bark comes wrapped in our signature gold bag. Discounts are given for ordering multiple pounds shipping to the same address.